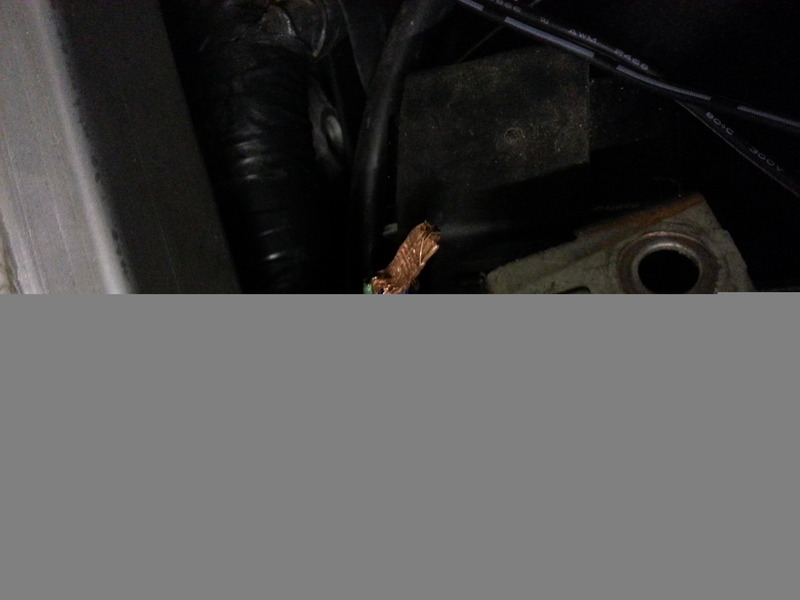 that picture is part of your diagnostics circuit, You connect that and turn ignition on (but engine off) to check throttle body sensor position (it'll register a "0" or a "1"). ")" signifies correct TBS position ans "1" means it needs a tiny tweak one way or tuther (the throttle body sensor is housed on the TB and has a locking bolt that if slackened slightly allows setting of sensor). Cut wire by battery could be from a former alarm or something? Excellent , yeah I wonderd if it was old alarm but it looks to be factory loom ill take the tape off n post another pic , connected the diag and its reading 1 do I have an issue ? No, no major issue, just a minor adjustment. Locate the throttle body sensor. remove left hand fairing panel and look to the rear of your throttle body stack for a black plastic or alloy casing with a sensor wire connected. You'll see that the sensor body is retained by a single pinch bolt. Slacken this slightly and turn fractionally one way and the other way whilst reading the sensor position off the dash. When it reads zero, that's where it should be. All this does is tell the ecu where the throttle closed position should be for correct fuelling. Get it out and it makes a difference to correct pick up but not the end of the world. That picture shows multiple wires and it looks more like a power circuit than a control circuit. My best guess is that it is from an old alarm unless it is clearly wired into the main loom, but if it was, I'm sure you would have picked up by now that something major wasn't working! They are definatly main loom wires but everything works fine its abit rich but I thibk the wire u spoke of earlier is cut this bundle has 8 wires crimped together that can be right surely? You cant read the Diag reading that way its not accurate! This reading is for checking the TPS sensor and it should be read when the fast idle screw is wound completly out. If your bike is running ok leave it well alone. If it's working fine I'd just tape it up again! Yup, well picked up and my apologies as Ed's right of course. Idle screw all the way out. No biggie to do though and no harm in checking. 'Right' is a relative term where Italian electrics are concerned - might be that Luigi at the factory was gagging to get home for his Carbonara so just snipped and taped to get it off the production line!